A man has admitted walking into Wigan police headquarters armed with a knife. 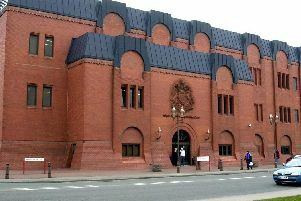 Jonathon Rutter, 22, of no fixed address, appeared before Wigan and Leigh magistrates to plead guilty to being in possession with a folding pocket knife with a blade more than 3ins long at the police station on September 24. He was committed for sentence by a Bolton Crown Court judge on October 22.